This Term all the Junior classes are participating in the Great Bean Race. This is part of our inquiry called Growing Together. Last Thursday we carefully planted our beans. 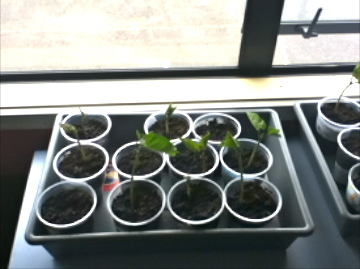 We decided that the best place for our beans to grow was on the shelf next to the windowsill so that they will get lots of sun. We need to remember to water them every day. Each week we will measure our beans to see how big they are getting. 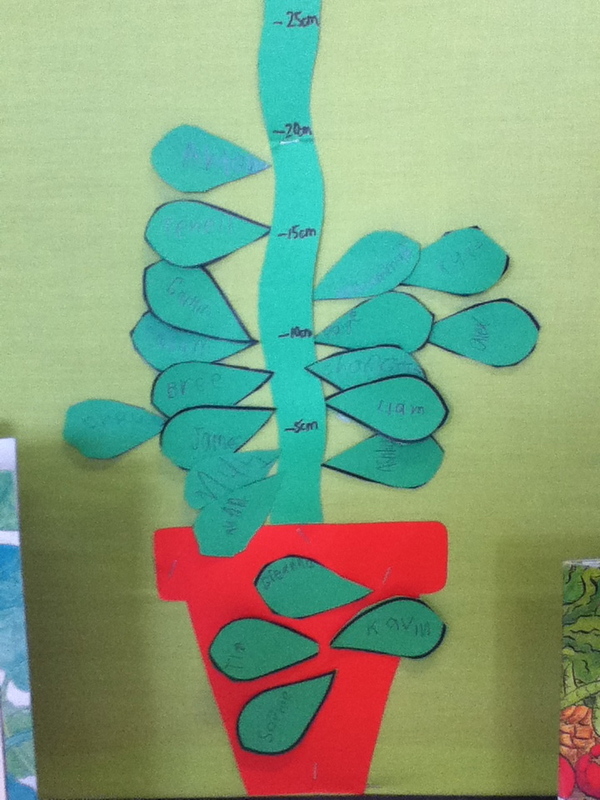 Today we measured our beans and put our names on our bean graph. Antony has the tallest bean this week. It was almost 20cm tall! Some of our beans haven't come up yet, but we hope that they start to grow over the weekend. Here are some photos of us planting our beans and our class bean graph. I wonder whose bean will be the tallest next Friday? I love the bean plants! They look really strong and healthy - well done looking after them! Great job on the beans. How tall are they now?